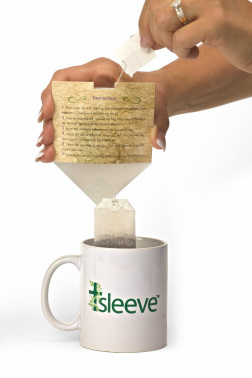 Place your favorite tea bag and packaged sweeteners into t-sleeve®. Close pouch and take it on the go. Prior to steeping the tea, remove tea bag from pouch. Feed tea tab through opening at top. 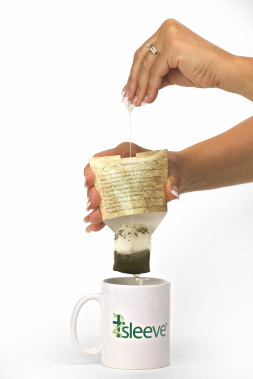 After steeping, pull tea tab up, drawing tea bag into the t-sleeve®. Once the tea bag is inside, fold in half and squeeze the residual liquid into cup. Discard the pouch/tea bag into trash receptacle or compost container. 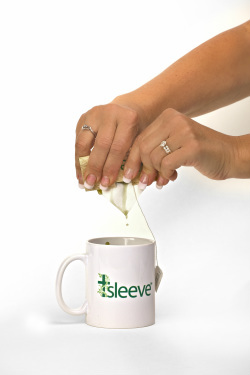 Also feel good when you choose t-sleeve® as your “go to” and to go, tea squeezer option, that you are directly contributing to charities that enrich lives. Click on the Charities Page to find out more.